Women’s history is still under-discussed and undervalued, doubly so when it comes to the history of women of color. 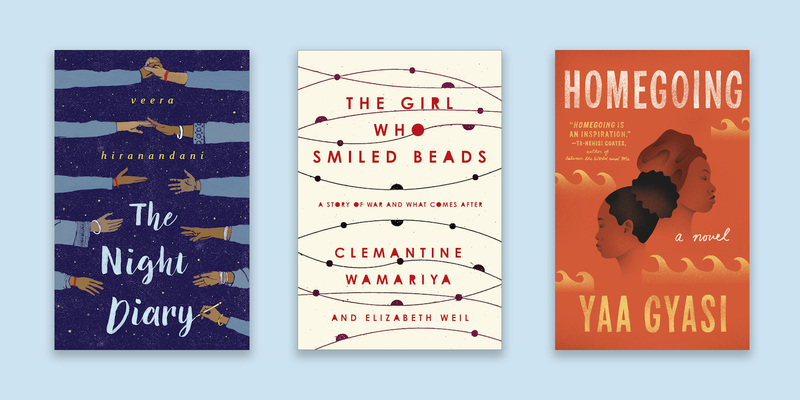 We’re highlighting some of our recent favorite titles, bringing these women’s stories and perspectives to the forefront. 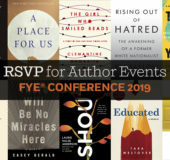 With something to offer for all ages, any of these selections would work well in community or first-year reading programs. Inspiration and text taken from There’s a Book for That!, brought to you by Penguin Random House’s Sales department. See more posts like this by following the Tumblr here. When Lydia Lee, the 16-year-old daughter of a Chinese American family living in 1970s small-town Ohio is found dead, the delicate balancing act that has kept the Lees together is destroyed, tumbling them into chaos. A profoundly moving story of family, secrets, and longing, Everything I Never Told You is both a gripping page-turner and a sensitive family portrait, exploring cultural divisions and complex relationships. A witty and compassionate debut novel about marriage, immigration, class, race, and the trapdoors in the American Dream—the unforgettable story of a young Cameroonian couple making a new life in New York just as the Great Recession upends the economy. Ghana, eighteenth century: two half sisters are born into different villages, each unaware of the other. One will marry an Englishman and lead a life of comfort in the palatial rooms of the Cape Coast Castle. The other will be captured in a raid on her village, imprisoned in the very same castle, and sold into slavery. Homegoing follows the parallel paths of these sisters and their descendants through eight generations: from the Gold Coast to the plantations of Mississippi, from the American Civil War to Jazz Age Harlem. Exploring the ways in which dreams and determination can reshape a family, Sekaran transforms real life into a thing of beauty. From rural Oaxaca to Berkeley’s Gourmet Ghetto to the dreamscapes of Silicon Valley, Lucky Boy offers a moving and revelatory look at the evolving landscape of the American dream and the ever-changing borders of love. In The Girl Who Smiled Beads, Clemantine Wamariya provokes us to look beyond the label of "victim" and recognize the power of the imagination to transcend even the most profound injuries and aftershocks. Devastating yet beautiful, and bracingly original, it is a powerful testament to her commitment to constructing a life on her own terms. In the vein of Inside Out and Back Again and The War That Saved My Life comes a poignant, personal, and hopeful tale of India’s partition, and of one girl’s journey to find a new home in a divided country. Aisha Saeed’s middle-grade debut tells the compelling story of a girl’s fight to regain her life and dreams after being forced into indentured servitude.